Blend the greens (spinach/kale), lemon juice, and water on the highest speed for about 1 minutes. Add in the ice, stevia (or banana), almond milk, and apple. Blend for another minute or so. This makes about two small glasses worth. I’ve been drinking this at least five days a week, and so far, so good! I keep it simple by doing things like storing my kale in the freezer and using jarred organic lemon juice from Whole Foods. 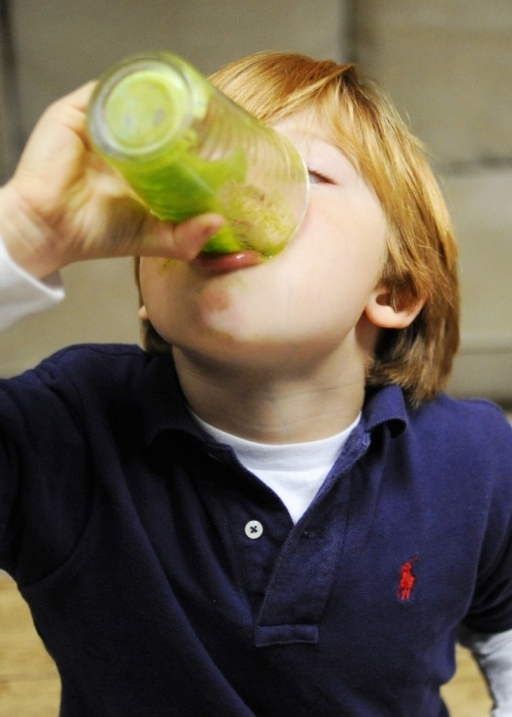 My son now loves this smoothies and drinks them with me. As for me, I’ve come to crave it every day single. My goal was five days a week, but I’ve been doing seven just because it makes me feel so good. It’s easy to make, and I love the taste.